The Beloved Community: The Vision of Martin Luther King Jr.
Martin Luther King, Jr. has been a hero of mine since I was a little girl. His commitment to social equality, his passion for improving the lives of those disenfranchised, his deep faith in non-violence as a spiritual force to shift power from oppression to reconciliation, inspired me as a child to find ways to move our country towards a more loving, peaceful place. When I first visited the King Memorial in Atlanta , GA I was so excited and in awe that I literally trembled. To hear tapes and see videos clips of his talks and work left me breathless. When I later moved to Atlanta, I visited the memorial frequently. It was my pilgrimage for inspiration in my work. I attended periodic services at Ebenezer Baptist Church, just a block away from the memorial, and soaked up the energy, the spirit. I sat in the pews imagining what it was like to hear King preach from the pulpit with the trumpet Amen choir behind him. This was exciting stuff for a white woman from the Midwest! Let the words of Martin Luther King Jr. inspire and fill your heart. Through some of those forays to the King Memorial and Ebenezer Church I met an elderly woman who attended the church as a little girl in the 1930’s and 40’s when King’s father was preacher there. She continued to attend in the 50’s and 60’s and heard MLK Jr. as well. I asked her what it was like to hear Dr. King on Sunday mornings. She said, “Marty was good, but oh girl, you should have heard Daddy King.” Wow, that blew my mind! I couldn’t believe that my idol, who’s words seemed to move mountains, paled compared to his father as a preacher. Dr. King’s legacy of social justice can be summed up in his vision of the Beloved Community– a place where no matter their skin color all people would be treated with dignity and respect, would be cherished as God’s children, would have equal opportunity to achieve their own greatness. King believed the Beloved Community was achieved through the alleviation of economic inequity and the achievement of economic justice. I invite you to take some time this week to read some of his speeches and lectures to get a feel for his vision of the Beloved Community. 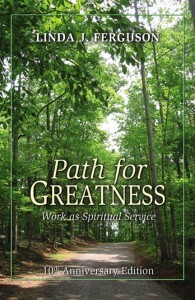 Many of you have heard that the year 2012 is a year where the world will be made anew, that radical transformation is upon us. I’d like to think that this year the Beloved Community will take hold across the globe. 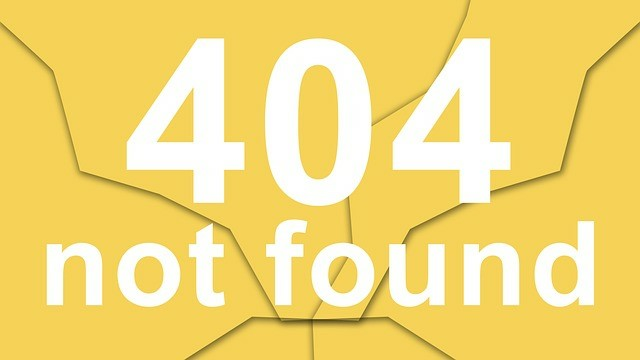 We’ve seen the global rumblings for such a world already in 2011. To support the global transformation this year, in tribute to King and to keep the vision of a world living in peace and social equality, I am going to write periodic blogs on how we create that Beloved Community in our own lives and in our workplace. Though King addressed social change on a state and national level, his ideas and his writing can be applied to our everyday lives. Indeed if we don’t apply the ideas in our own lives, the Beloved Community cannot be created. Love, Peace, Compassion, Justice begins with us. Martin Luther King, Jr. truly was a vessel of Divine Grace. And so are you- in your own unique glorious way, in your own life, in your own work. Will you help create the Beloved Community this year, today, this week- in your family, at your work, in your world? Leave a comment below to share how you are working to support the Beloved Community. Visit Linda’s website www.lindajferguson.com to read more about her spiritual life coaching work, view video clips of her talks, and more blog posts. “Like” Linda’s FaceBook Fan page– https://www.facebook.com/LindaJFerguson if you want to get notices of these blog posts and other updates of Linda’s work. 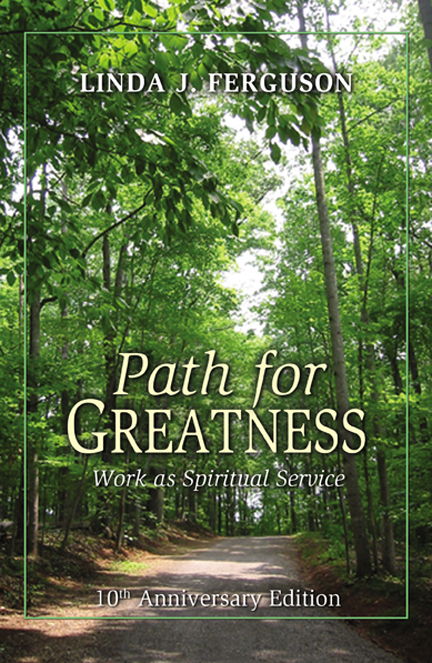 Also now available- 10th Anniversary edition of “Path for Greatness: Work as Spiritual Service”.